Derrick Kosinski & Scott Yager are joined by Big Brother 20's Brett Robinson. Now that The Challenge is bringing over cast-members from Big Brother, why not get ahead of the game and start interviewing standouts from that series before they're even legally allowed to jump ship. Scott (@SHOTOFYAGER) thinks Brett (@BB20Brett) was tailor-made for The Challenge and that he should be at the top of MTV's wishlist later this year. Brett joins Derrick (@DerrickMTV) and Scott to ... See More discuss how he got cast on the CBS show, where his game went wrong, why he'd be better suited for a Challenge house and more! 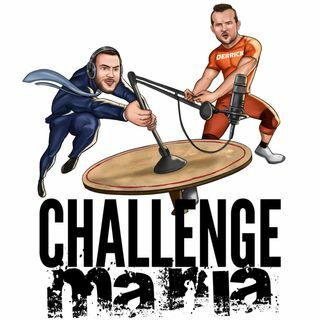 Check out www.ChallengeMania.Shop to grab your podcast swag and rep your favorite cast-members!